Since 2001, E3Live products and our facilities have been certified organic through OTCO (Oregon Tilth Certified Organic). OTCO provides a system of strict production standards and annual on-site inspections of not only E3Live's (Klamath Algae Products, Inc.) facilities, but the Upper Klamath Lake watershed. 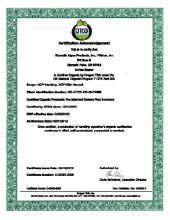 Oregon Tilth is the most respected name in organic certification, which is why we are OTCO certified. OTCO has been certifying E3Live to the U.S Department of Agriculture (USDA) National Organic Program (NOP) and to the Canada Organic Regulation. 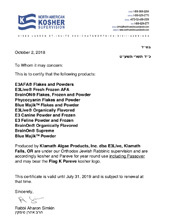 E3Live is certified to kosher standards by Rabbi Zushe Blech, as he is considered one of the world's leading experts in modern kosher food production and technology. Rabbi Zushe Blech of Monsey, NY, has been serving for over 20 years in positions relating to all aspects of kosher certification. 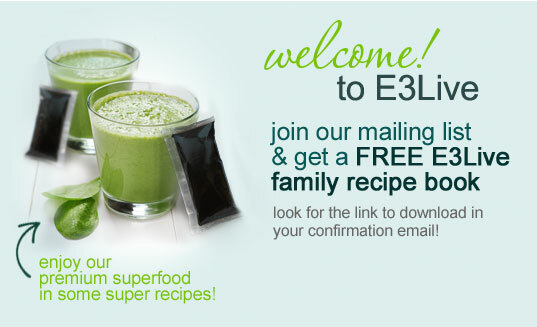 There is an annual inspection if E3Live's facilities and products, as well as a review of our documentation. We are continuously striving to add more and more of our products to the kosher-certified list. To request more detail regarding our certificates, please call 888-800-7070 or 541-273-2212.